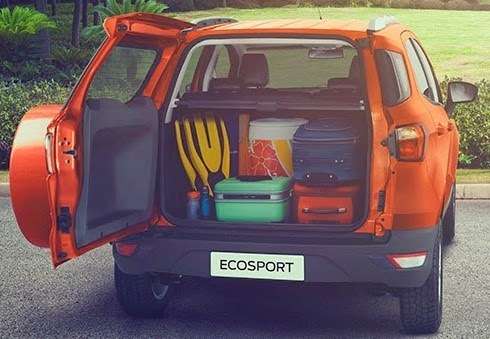 All New Ecosport SUV type car that is tough but has a compact design (small) compared to SUVs, this car is designed for a small family who live in urban or suburban. Body design that is not too large it allows the driver to enter the narrow streets of urban, high ground clearance makes the design of automotive enthusiasts freely through the streets of the contoured uneven or damaged roads (claimed to use design city car). All New Ford Eco Sport has a high seating position where it is also due to considerable ground clearance of the car about 20 cm high, high seating position other than fun passengers because they can see the scenery more freely also be easier for the driver to see the road conditions (more freely ) so it is easier to control the car. 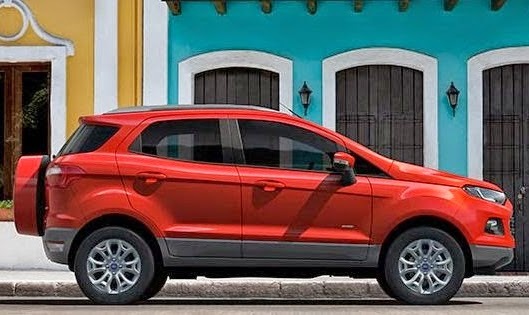 All New Ford Ecosport is also equipped with a sunroof (for the highest type) which serves to enjoy the view from the roof of the car, sunroof also serves to incorporate air from the roof of the car if necessary and usually for children to pull out of his body like hands even head to feel the air outside the car. This feature serves as an anti-recoil when the car is on the rise, it is very important for example, a car suddenly broke down or the car is on the road climbs the accidental misfire like at the top. Hill Launch Assist feature works by holding brake (a few seconds) when the driver's foot to move from brake pedal to the accelerator (allow time for the driver), this feature can work on a slope or derivative. Hill Launch Assist includes excess of Ecosport because this feature is not found in any other car in its class. 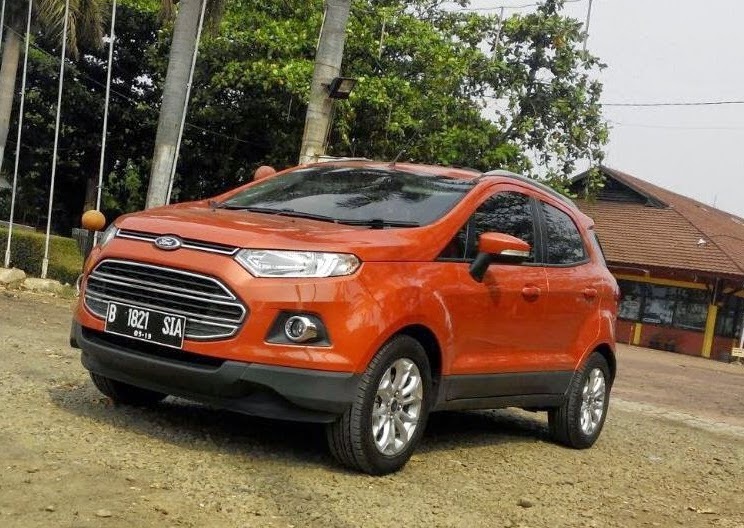 All New Ford audio system Ecosport is fairly sophisticated because besides can be connected with a smartphone, to change the song can be done by voice or pressing the buttons on the steering wheel (audio switch). This feature is a security device and comfort in which to open or close the car door must use the original key that emits waves / signals (radio) specific, when the driver approached the car, the car will automatically unlocked and the door can be opened. Similarly, when starting the engine because only the holder of the original key that can start the engine, the engine could be alive if there is a signal emitted by the contact of the original car. A mini refrigerator (not freezer), by placing a cooled glovebox softdrink on the drinks can be cool and fresh. Cooled glove box is suitable for soft drinks in cans or in bottles, in addition to the cooled glovebox can also be used to cool food. All New Ford Eco Sport is equipped with traction control technology that can grip the asphalt with a very good (anti-skid), TC (traction control) is very capable when used on a bend. The way it works is when cornering and braking then one would put the brakes on the rear tire (tire inner corner) so that the car will be much easier to turn (most cars can not put the brakes on one side of the tire only). 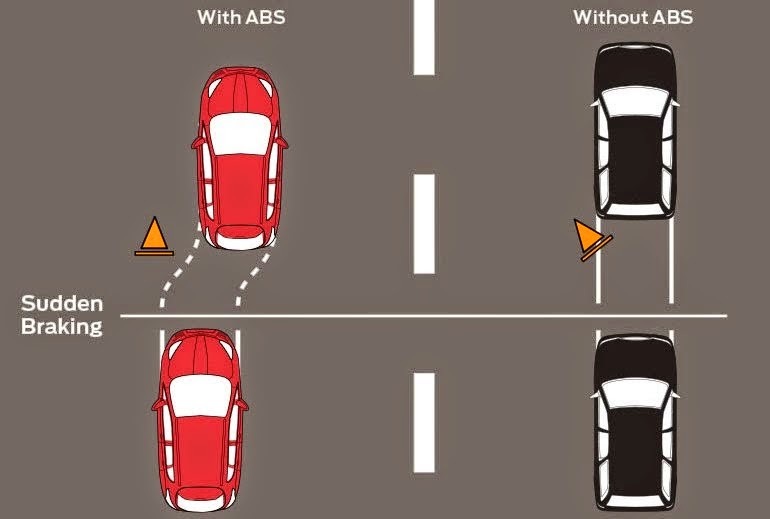 ESP (Electronic Stability Program) a computer program that detects the presence of tire slippage, if there is slippage in the split second after the brake is released and will not slip on the brakes again. Releasing the brake takes place in a very fast and repetitive to the point that we as the driver does not feel if there is a nip off these brakes. All New Eco Sport equipped with a cylinder capacity of 1500 cc engine with 4 cylinders and valve number 16 (16 valve), capable of issuing power 110 PS at 6050 rpm spin machine, capable of delivering a maximum torque of 142 Nm at 4500 rpm spin machine. For this engine we can taste it, because when compared to the power honda jazz still lost. If All New Eco Sport can give power to 110 PS, the Honda Jazz can issue a power to 120 PS. The machine uses unleaded gasoline with fuel supply system tech EFI (Electric Fuel Injection) or often called injection, the power generated will be channeled to the front wheels, while the car's transmission system there are manual and there are matic also.